Project EVA is a joint partnership project aiming to enhance flight safety by improving the visibility of general aviation pilots. EVA – which stands for ‘Electronic Visibility via ADS-B’– was a joint partnership project which aimed to enhance flight safety by improving the visibility of General Aviation (GA) pilots to each other and to air traffic control through the transmission and reception of Automatic Dependent Surveillance-Broadcast (ADS-B) data. NATS’ Research and Development team led Project EVA – which was co-funded by the SESAR Joint Undertaking – and worked with Trig Avionics, f.u.n.k.e Avionics and Aircraft Owners and Pilots Association (AOPA) to develop traffic information technologies and assess them in flight trials in the UK and across continental Europe. The devices enabled GA aircraft that are not equipped with a transponder to transmit their position and receive information from other airspace users around them using ADS-B. We call this “electronic conspicuity” and it provides real-time traffic information and proximity warnings of conflict risks, thereby increasing the ability to see conflicts in a timely manner. Project EVA ran from August 2014 to October 2016. Part of this demonstration involved gathering user feedback on the devices, including how well they support the ‘See and Avoid’ principle, which has since evolved to ‘See, BE SEEN, and avoid’ because being seen adds just as much benefit as being able to see. The project also tested interoperability between different devices and with existing surveillance equipment. The team also created guidance material for installing and using traffic information displays to ensure pilots continued to look out of their aircraft and were not distracted by the devices. Other activities included assisting with the development of certification and regulations in the UK and elsewhere in Europe to speed up the availability of this technology. For aircraft not equipped with a transponder, the LPAT, TABS and Traffic Unit devices are being developed and assessed by Project EVA partners. The Low Power ADS-B Transceiver (LPAT) is a prototype device that provides the minimum functionality you need to see and be seen by other traffic. The prototypes developed by NATS and f.u.n.k.e. Avionics are light-weight, battery powered, carry-on devices that are simple to use. 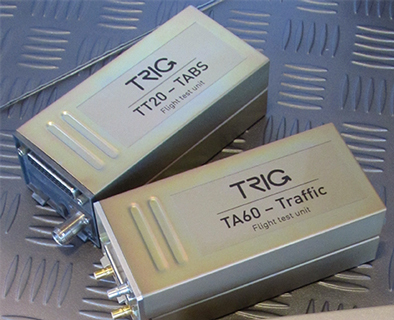 The Traffic Awareness Beacon System (TABS) TT20 was developed by Trig Avionics. It is a compact device that is simple to install. It provides the aircraft position via ADS-B OUT and is visible to other TCAS-equipped aircraft. When connected to a TA60 Traffic Unit device, which uses the latest Traffic Situational Awareness with Alerts (TSAA) system, pilots can receive audio alerts about air traffic in their vicinity via ADS-B IN. It has been designed to provide highly accurate information and fewer false reports than other, more expensive, TCAS systems. It can also be connected to a wide range of displays for visual traffic information in the cockpit. To gain the full safety benefits provided by these devices all aircraft, including those already fitted with a transponder, would need to transmit ADS-B. Currently, some existing Mode S transponders can provide ADS-B if connected to a GPS source. But the GA community is deterred from buying certified GPS sources because they are expensive. The quality of data provided by affordable, non-certified GPS sources was assessed during Project EVA, which revealed that the data has similar accuracy to fully certified GPS units. 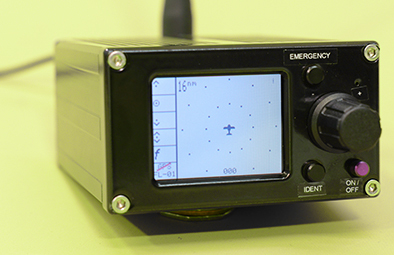 This has led to the UK CAA accepting its use for applications such as this for GA pilots and allowing its connection to suitable transponders, as well as in devices such as the NATS’ LPAT and the Trig TABS device. During Project EVA, more than 70 GA pilots and observers took part in 53 flight trials in the UK and Germany over 24 months, using the devices outlined above. These crewmen used a variety of GA aircraft in various airspace environments, for example, from small to medium sized airfields to ‘cross country’ airspace. Exercise 1: Was to validate that the LPAT device was fit-for-purpose to support the ‘See and Avoid’ principle in typical Visual Flight Rules (VFR) GA operating environments. Exercise 2: Focussed on the verification of the TABS and Traffic Receiver prototypes and validation of their interoperability in flight trials in typical VFR GA operating environments. Exercise 3: Assessed the compatibility of the different devices – LPAT, TABS, Mode S transponders, PilotAware and Power-FLARM – and focused on how traffic alerts support the ‘see, BE SEEN and avoid’ concept. Exercise 4: Utilised the data provided by the devices to determine its suitability to be displayed on air traffic services systems. The ADS-B data was collected using NATS’ surveillance systems. The project members helped the CAA develop CAP1391, which now allows manufacturers to build and sell devices like the LPAT in the UK and minimises the cost of electronic conspicuity for GA. The participants found there were clear advantages from using these devices as a useful additional tool to give pilots more awareness and warnings of the traffic around them. 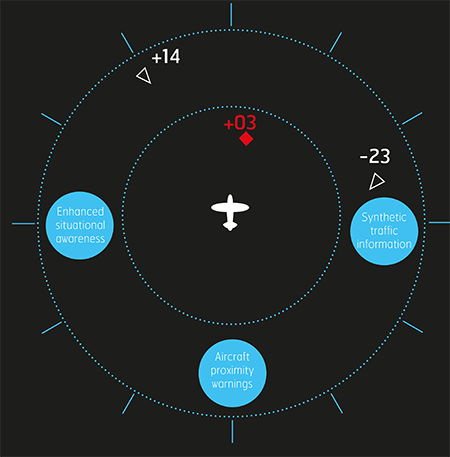 The devices are not a replacement to looking out of the cockpit, therefore pilots still need to continue their visual scans. There is just as much benefit from being seen, so the full benefits will only be achieved when there is widespread adoption of compatible technologies. The project showcased the tangible benefits that electronic conspicuity can deliver to the GA community and engaged with them to ensure their needs for traffic awareness for VFR flight in uncontrolled airspace will be included within the SESAR Concept of Operations. Whilst Project EVA has now finished, NATS continues to build on its achievements under the UK Future Airspace Strategy Electronic Conspicuity (FAS EC) project. This will further promote the importance of ‘See, BE SEEN, and Avoid’ and the availability of affordable equipment to GA pilots, whilst also examining options for the use of such data in ground-based systems for airfield services and NATS’ safety nets, to further improve safety in UK controlled and uncontrolled airspace.